We have got a little bit of everything for you today. Justin Holbrook said Danny Richardson proved why he has been knocking on the door of the England set up following St Helens’ win at Leeds. Leeds coach Brian McDermott insists the Rhinos are ‘not in a slump’ after losing their fifth Super League game in a row. 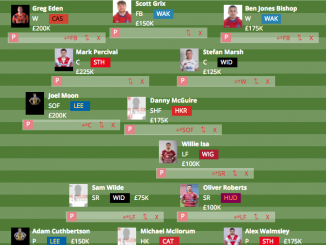 St Helens are still top and Widnes are still bottom in an alternative Super League table – ranking male suicide rates. The big, friendly giant of rugby league; also known as Eorl Crabtree. 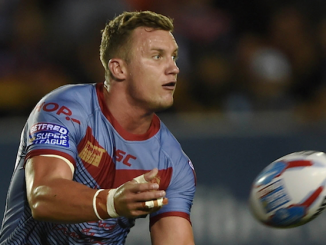 The former Huddersfield Giants star was the pinnacle of a forward within the sport and now he does all his talking off the field. He says ‘it’s okay to speak and it’s okay to not be okay’. Hull KR captain Shaun Lunt says that the threat of relegation is taking the enjoyment out of the game. Another one to add to in-depth series collection as we focus on one of rugby league’s most prolific and skilful players, Steve Renouf. State of Mind and Offload have helped set a new Guinness World Record and raise awareness of mental health ahead of the annual Super League themed round. Members of Parliament have given their support to the State of Mind Super League round. Hull KR centre Andrew Heffernan has been ruled out for the rest of the season due to his ongoing concussion injury. St Helens chairman Eamonn McManus has hit back at Leeds chief Gary Hetherington following the latter’s dismissal of this week’s Super League press conference. Here are 10 ways to look after your mental health. Give them a try! Danny Richardson’s last-gasp drop-goal secures St Helens win over Leeds, report The Guardian. Jamie Peacock’s latest column for the Mirror is out. He says rugby league needs to get some of its glamour back and Robert Elstone is the man to deliver it. Shaun Wane warns his Wigan Warriors players not to let Jake Connor get under their skin, report Wigan Today. Steve Price ‘feels for’ Warrington stars left out by England, report Warrington Guardian. 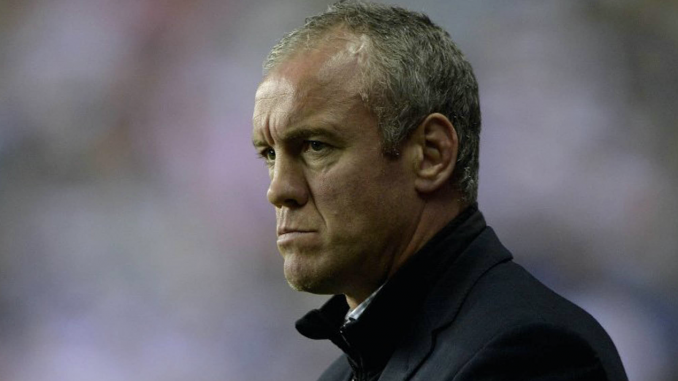 Brian McDermott so proud of his patched-up Rhinos, report Yorkshire Evening Post. Castleford coach Daryl Powell wary of a backlash by Rovers, report Yorkshire Evening Post. Hull FC’s Scott Taylor gets late England call-up, report Hull Daily Mail. Tim Sheens talks Shaun Lunt and Lee Jewitt comebacks for Hull KR, report Hull Daily Mail. Good to see a bumper crowd on at Huddersfield!
? A Giant thank you for your support this evening and have a safe journey home! Garry Schofield wants Danny Richardson in the England squad! Who is excited to watch Luke Thompson for England?
. @Luketommo1 has been tearing it up for @Saints1890 this season ?? 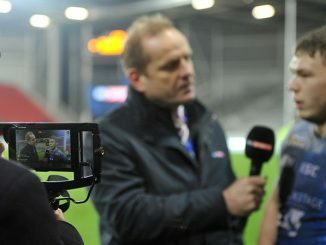 The latest ‘Sport at Six’ podcast by BBC Radio Manchester’s Jack Dearden and Trevor Hunt is available to download now. The latest Rugby League show on Proper Sport is available to download now. 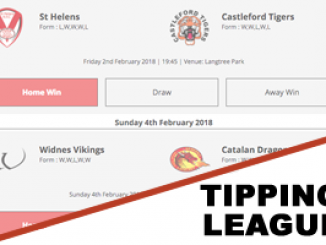 The latest Whippets and Flat Caps podcast is available to download now, presented by Jon Wilkin and Mark Flanagan. The latest 5 Live Rugby League podcast is available to download now, presented by Dave Woods. The latest Rugby League on talkSPORT 2 podcast is available to download now. 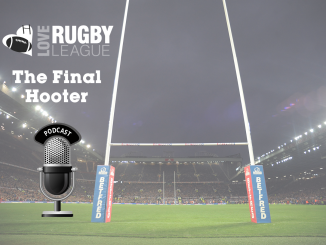 The Final Hooter podcast by Love Rugby League’s Dave Parkinson and Adrian Jackson is now available to download.